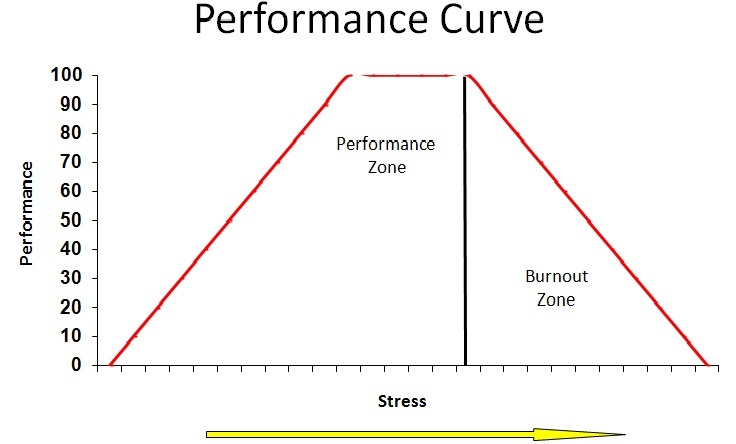 What Type of Stress Improves Your Performance? Stress! There seems to be abundant sources of stress in our culture. We have known for some time that people have way too much stress in their lives and it doesn’t seem to be diminishing. What is interesting is that we each have different tolerance levels for the amount and the type of stress we can manage. I once had a client who was a grade school teacher and she was finding the stress of the classroom way too much to handle. She reached a point at which she had to make a career change, so she applied to become an emergency services person. Wow, yes – from the stress of the classroom to the stress of racing around from emergency to emergency. But what I discovered with this client and many more after her, is that we all have different types and amounts of stress that we can tolerate. 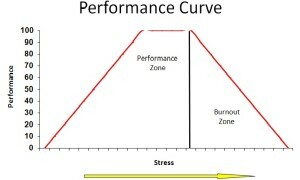 Similar to an athlete, we need a certain amount of stress in our workplace in order to perform at our best. For example, have you ever known individuals who have 110 things to do when they perform at their best? Meanwhile, there are others who can handle only one thing at a time, or they freeze up and their performance starts to deteriorate. We each have a maximum level of pressure that we can handle. Having said that, there are things we can do to increase our ability to handle higher levels of stress and be more productive. Here are some steps you can take that will improve your own ability, and elevate your own level of performance. Is the source of stress complementary (good stress) or bad stress? Stress sources like reasonable deadlines and achievable performance objectives are sources of complementary stress. On the other hand, unreasonable deadlines, traffic jams and unclear expectations are sources of bad stress. You need to identify the type of stress and take action accordingly. Develop a plan that will help you elevate the level of complementary stress and reduce or remove the bad sources of stress. For example, maybe you have to improve your negotiation skills so that you are able to establish reasonable deadlines with your clients and manage their expectations. Once you have identified the sources of stress and how you are going to do to manage them, start tracking the actions that are improving your stress levels as well as the ones that are not. Are your sources of bad stress starting to be reduced? Are you learning to say no to things that are not helping you perform better? Keeping track of your stress is a great way to see improvements in your ability to manage stress and improve performance. These are just a few starting points that will help you view stress in a different way, and help you start to harness the benefits of complementary stress that will help improve your performance. All of the best in achieving your highest performance.